I guess the two swords with identical pommels in the first picture are Windlass make your own? They are quite nice! That is correct. Alright swords for the price. That explains two of the ones I didn't recognize. I still think Windlass turns out some very good swords (and some pretty mediocre ones). 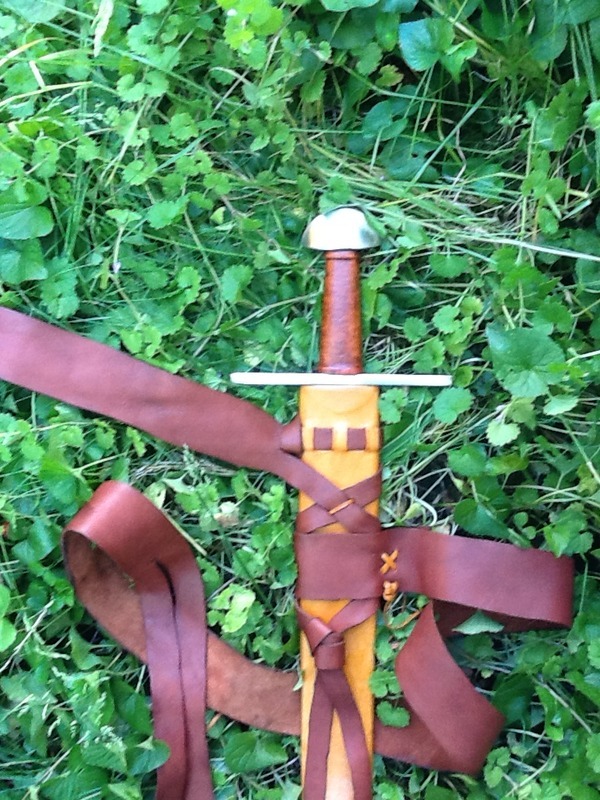 What about the sword in the 2nd picture with pommel on the far left? That looks nice. Is it a customized Del Tin? 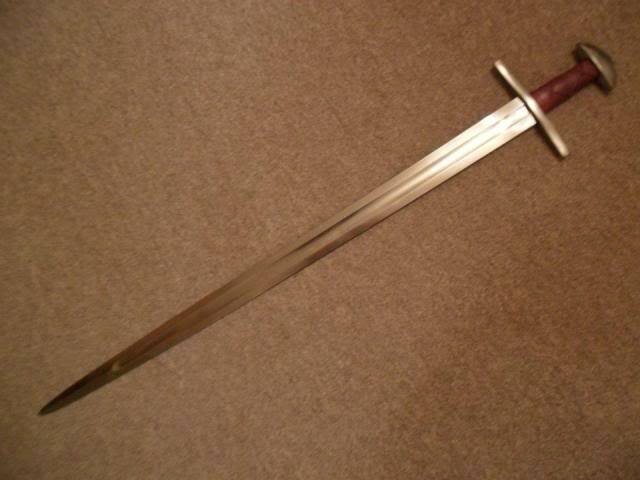 Del Tin Type X Medieval Sword - DT2133. When I received it, the wire grip was very loose and I replaced it with leather. 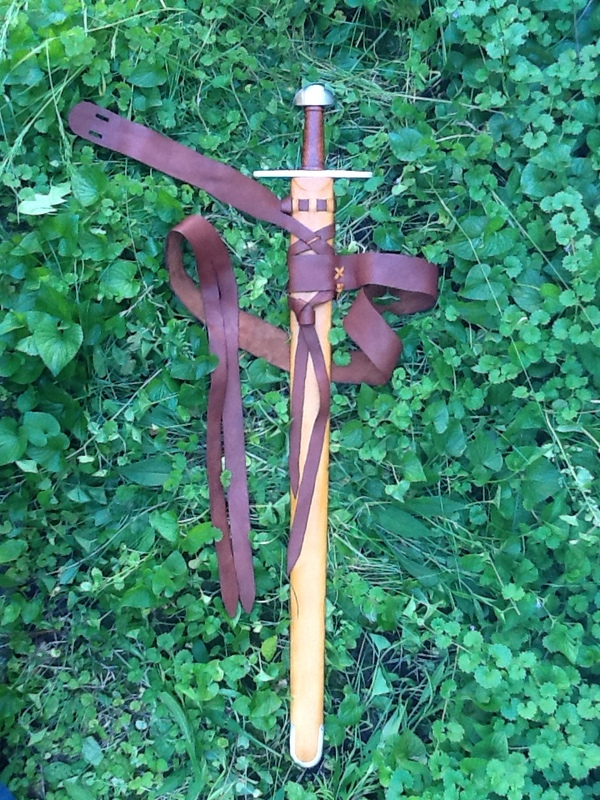 This sword feels much lighter than advertised. Nice work Josh. 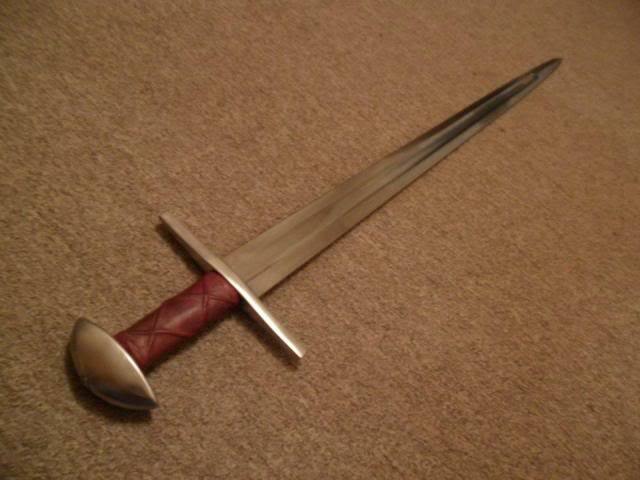 I used to have one of those: a very responsive sword. 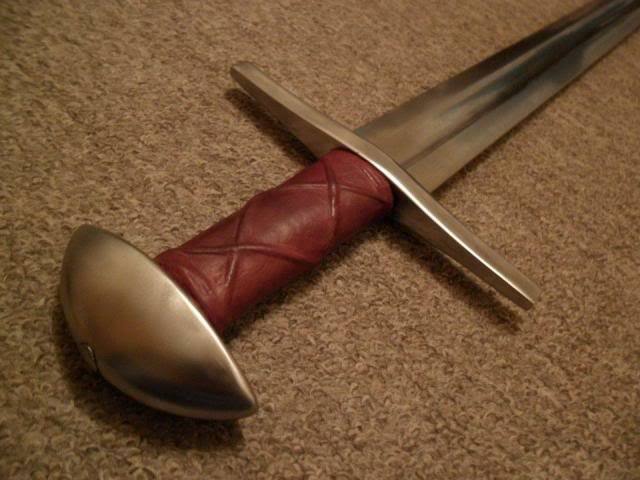 I would like to know more about Heidalen's sword. Is it a blunt fencing sword? Who made it? I have a Reeve as well and don't see myself parting with it. 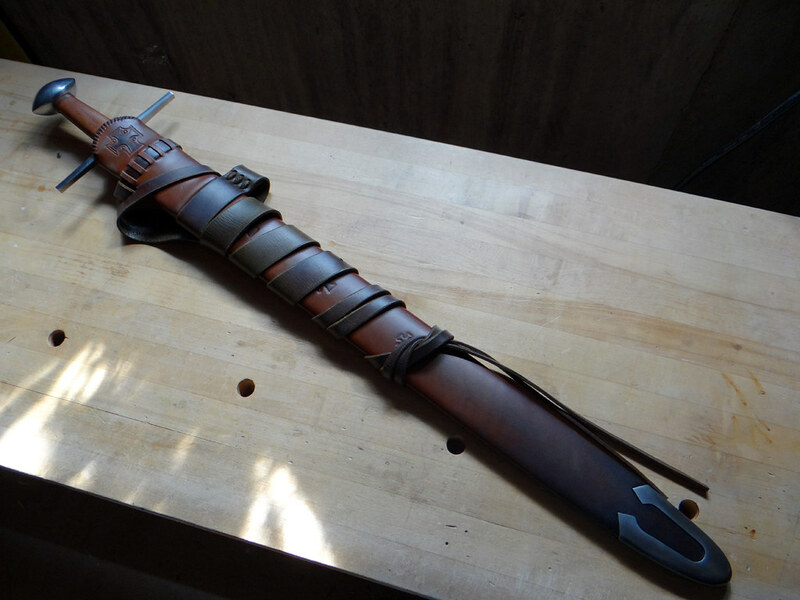 Who made the scabbard? It is blunt indeed. Made by Vladimir Cervenka. 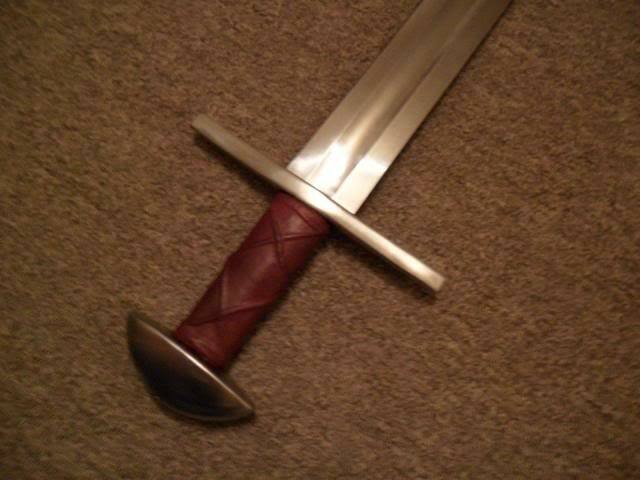 He's gonna be doing a scabbard for an Albion Norman for me later this year sometime. I like my Norman even better than my Reeve. 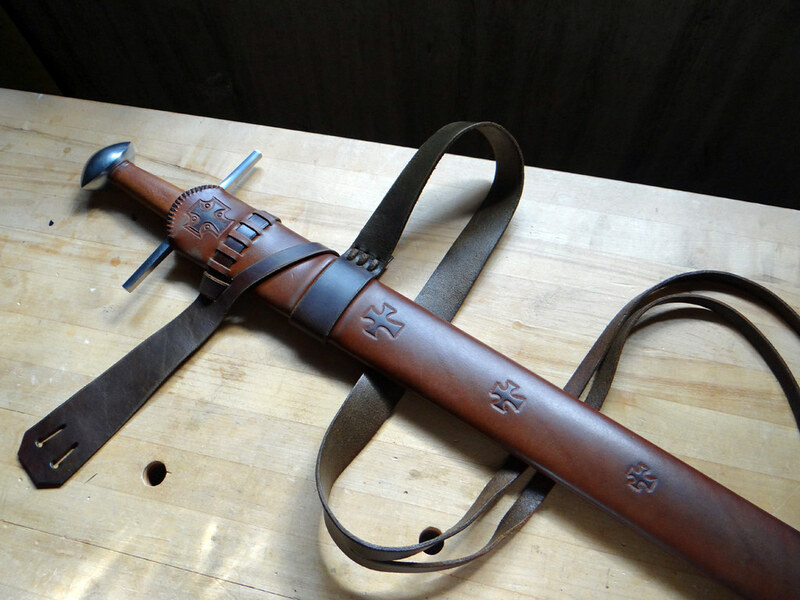 I would go for less decoration on a scabbard for the Norman as I feel it would really compliment the whole picture but that's just MHO. Somehow it looks even better now that its not mine anymore! Nice pick up Luka! I like that sword a lot! Unfortunately, I doubt anyone bothered to actually record the medieval name for brazil nut pommels. I expect that it was one of those common-place things that no one thought to record at the time. To be fair, it could be that the name is recorded somewhere. But I imagine we would have heard about it from now from a medieval researcher or sword enthusiast who discovered the correct name. Quit callin' me mister. Makes me sound and feel old. This thread seems to be about reproductions, so I hadn't thought to post them here. They photos will all eventually end up in the Albums section. Some will also go in a forthcoming article on the museum.